This CD and DVD version includes the original album in 5.1 surround sound plus 4 bonus tracks and 3 bonus videos. 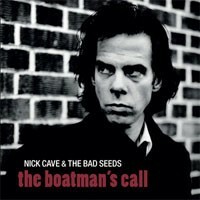 ‘The Boatman’s Call’ is the tenth studio album by Nick Cave & The Bad Seeds, originally released in 1997. The album is entirely piano-based and remains one of the most critically acclaimed releases of Nick Cave’s career. Musically, the album’s tone is considered sombre and minimalist and marks a major departure. Moving away from full band arrangements and character-based narratives, the album’s music and lyrics move towards the more intimate sound of Cave’s solo voice accompanied by piano or a few other instruments.